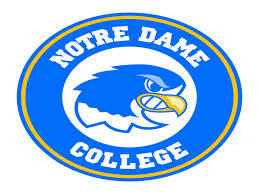 The Sisters of Notre Dame founded Notre Dame College in 1922 as a Catholic, four-year liberal arts institution for women. Over the years, Notre Dame always embraced the challenge of adapting to the changing needs of its students and has seen many changes. In 2001, NDC admitted men paving the way for continuous growth of the College through the addition of both new programs and athletics. Since then, enrollment has risen to a record high of almost 2,000 students.